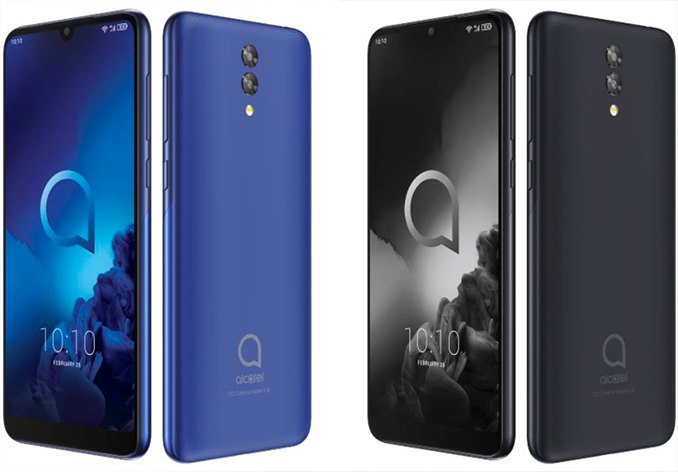 Alcatel introduced its new entry-level smartphone that is equipped with a 5.9-inch display, a quad-core Qualcomm SoC, 16 GB of NAND storage, facial recognition, and a dual camera, a combination of features typically not found on low-end handsets. Alcatel 3L is the latest addition to the company’s 3-series range and will be priced at around €139. One of the key selling points of modern smartphones is their display. Entry-level models tend to come with relatively small low-quality screens and cheap SoCs, which negatively affects user experience. TCL, the manufacturer behind the Alcatel brand, decided to change that and outfitted the 3L with a ‘Super Full View’ 5.94-inch IPS display with a 19.5:9 aspect ratio that covers the front side of the phone almost entirely. The screen has a 1560x720 resolution and 289 PPI pixel density, which is pretty low by today’s standards, but more than suitable for this market. To protect the display Alcatel uses 2.5D front glass, which is common for this price range. 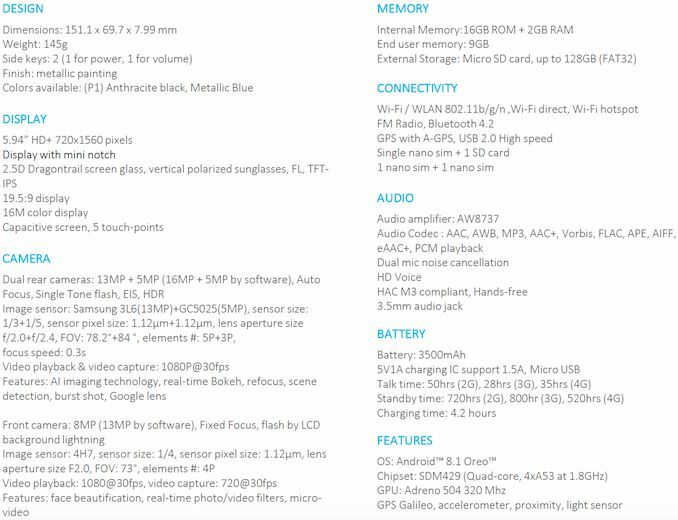 The Alcatel 3L is based on the Qualcomm Snapdragon 429 SoC (four ARM Cortex-A53 eracores at 1.8 GHz, Adreno 504 graphics, X6 LTE, 12nm FinFET, etc.) that is accompanied by 2 GB of RAM and 16 GB of NAND flash storage (expandable with a microSD card). The combination of the SoC and RAM/NAND will hardly impress owners of advanced smartphones, but for the low-end market this is a rather common configuration. 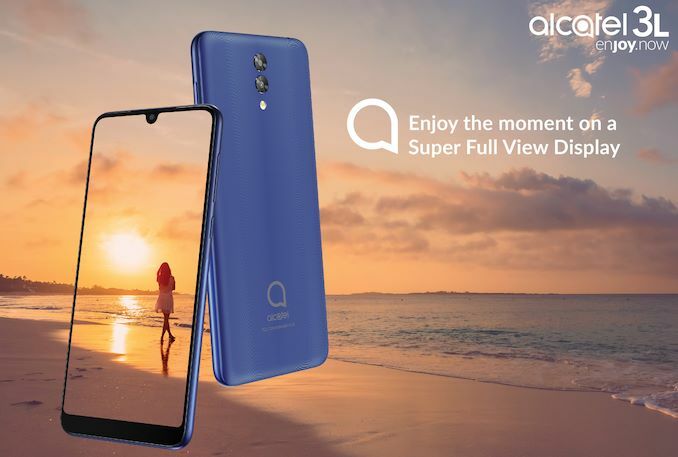 Imaging is another primary selling feature of modern smartphones and the Alcatel 3L has many good things to offer in this price segment. The 3L is one of the first low-end smartphones from a renowned brand with dual-sensor rear camera: it has a 13 MP RGB sensor, a 5 MP depth sensor, and a LED flash. The camera hardware and software support various features, including bokeh effect, scene detection, AI imaging, and so on. Meanwhile, there is an 8 MP sensor on the front for selfies with face beautification software capability. Surprisingly, the front cam supports Alcatel’s facial recognition technology, something uncommon on cheap phones. Other specs and features of the Alcatel 3L are pretty common for entry-level handsets, but are still a little better when compared to existing devices from this segment. On the communication front, it supports 4G/LTE (CAT4/CAT5), 802.11n Wi-Fi, and Bluetooth 4.2. 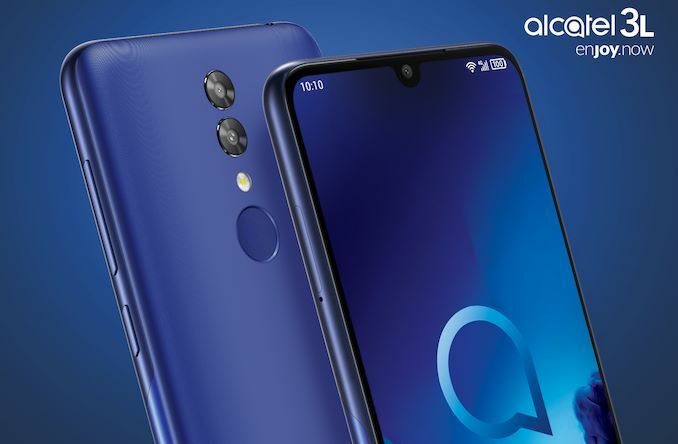 When it comes to sensors, the Alcatel 3L smartphone has an accelerometer, proximity & light sensors, as well as a fingerprint scanner (that is in addition to facial recognition). It also has the AW8737 audio amplifier to provide a better-quality audio. Finally, the 3L comes in black or blue plastic finish with a metal-like painting. Meanwhile, the phone has a relatively small thickness (7.99 mm), and not too heavy (146 grams). Alcatel plans to start selling the Alcatel 3L in the second quarter in EMEA and APAC regions at a price of €139.